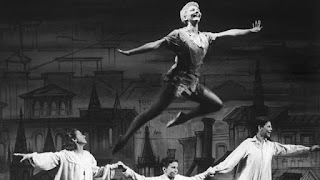 The story of Peter Pan has been told and retold, twisted and turned, rebooted and reimagined countless times for over a century. And it's easy to see why: the whimsical, boisterous, and slightly melancholy story of a boy who stubbornly refuses to grow up is an argument for continuing to believe in make-believe, especially in a real world that quickly becomes all too complicated and dreary. In this episode, we welcome special guest Matt Steele as we all reminisce about our first meeting with Peter in the 1960 television adaptation of the Broadway musical starring Mary Martin.